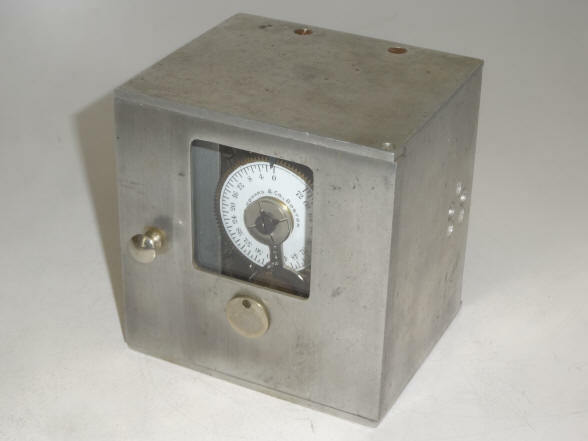 The Bankers Electric Protective Association was a successful alarm system maker at the end of the nineteenth century, operating from 1896 through 1901. The name was changed from Bankers Electric Protective Association to Bankers Electric Protective Company in 1898. This photo shows the company's mascot / insignia on the side of the factory building where the company was located in Minneapolis, Minnesota. 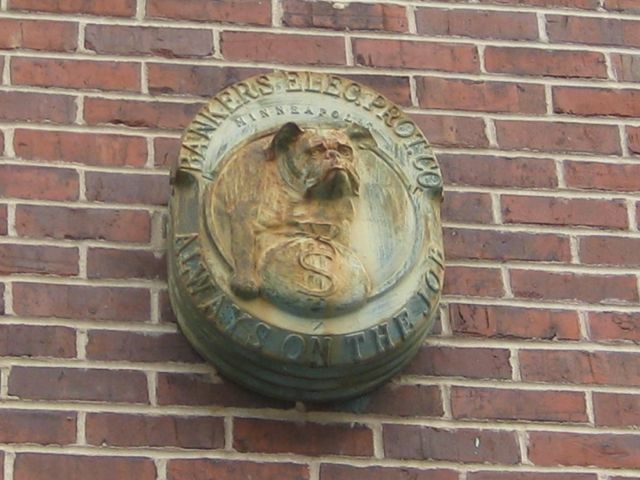 It shows a serious-looking bulldog guarding a sack of money as illustrated by the Dollar sign on the front of the sack and reads "ALWAYS ON THE JOB". A good advert for an alarm company. 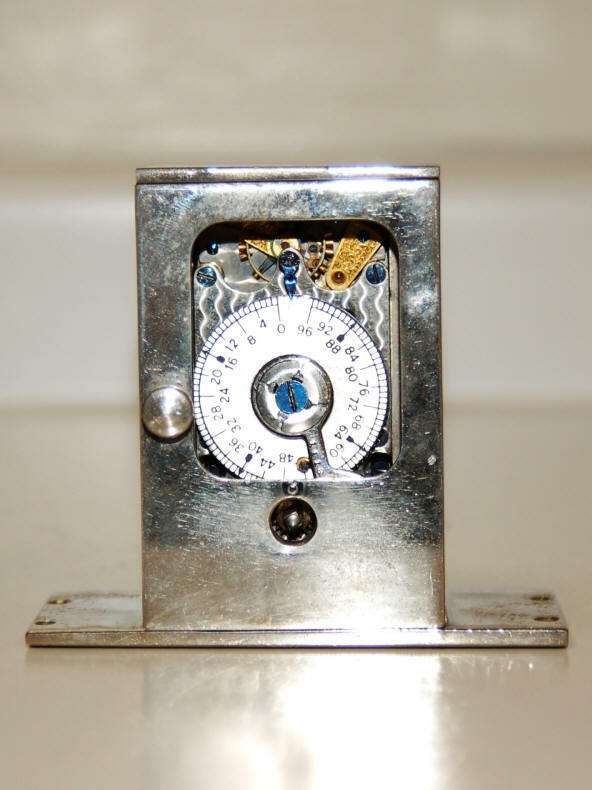 Among the most successful makers of bank alarm systems was Bankers Electric Protective Association, and between 1896 and 1901 Bankers Electric produced at least five distinct styles of alarm timer in both single and double movement styles. The style thought to have been the earliest was made between 1896 and 1897, and was based on a seventy-two hour movement made by E, Howard. 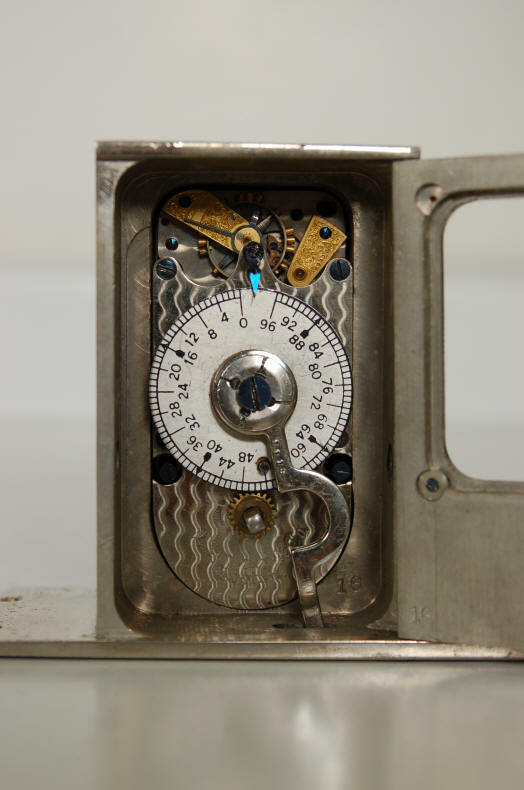 This movement was substantially similar to the L-movement then in production by Howard for use in Yale's time locks but with a few natable differences: the main dial is marked with Bankers Electric name, the front plate has the E. Howard attribution in engraved script rather than Gothic script found on contemporary Yale movements, and the gold-plated parts of the escapement are unengraved. 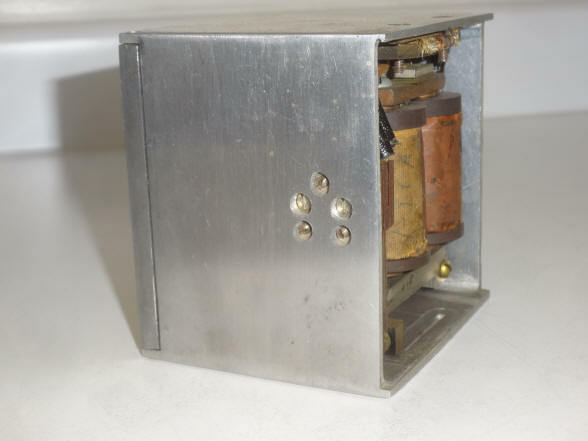 The case is nickel-plated bronze and a vertical armature extending through the case bottom is pushed left to right by the dial pin, breaking the circiut and disabling the alarm. 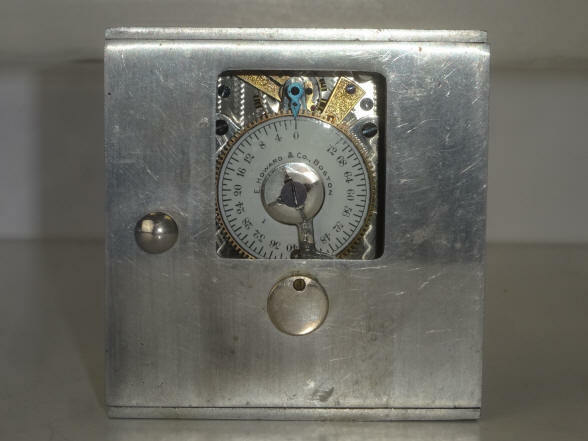 The video above shows a demonstration of a Bankers Electric Protective Association alarm timer. 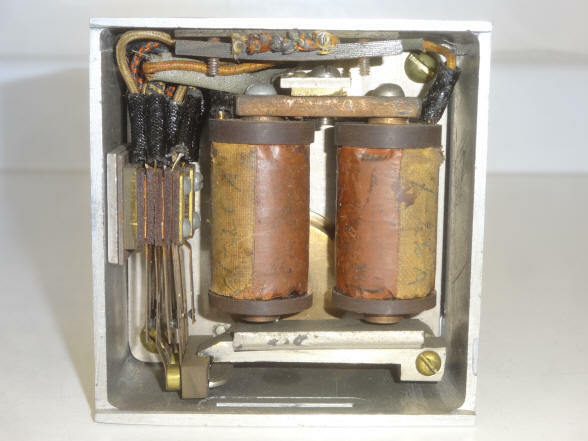 This company used E. Howard movements for their timers and often had their own logo on the dial. 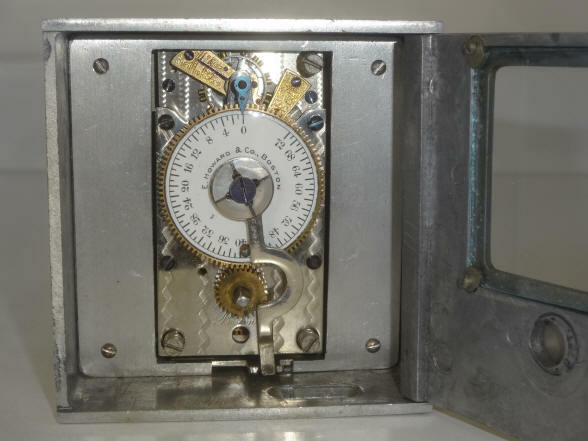 This one has the original E. Howard dial logo and the company script on the front movement plate indicates that this dates from about 1896 or 1897.